Ms. Howell's 3rd Graders on Top of the Leaderboard Thanks to Splash Math Hippo! We had been using a couple of other online math programs, not very enthusiastically as my students never liked those enough to stay on task and stick with the program, so when I heard about SpringBoard, I immediately got my class working on Splash Math. I was hoping this math program would engage them better, and if it did, my plan was to motivate them further with the contest. How did that go, did your students like Splash Math when they tried it? It went amazingly well. My students got on to Splash Math on that first day and immediately loved it. They continued to love it, and were happy to stay on it and keep going – this was really impressive for me as a teacher, especially since I have tried other online math programs before. I wanted to understand why they liked Splash Math so much better, so I talked to my students to dig deeper. They came up with a few different reasons why they loved it, but the one reason they all unanimously cited, was the Splash Math hippo! My students elaborated, explaining that the hippo was really encouraging when they got the question right. It was actually quite funny, all my students exactly mimicked the hippo’s words: “Awesome!”, “You rock!” and so on. 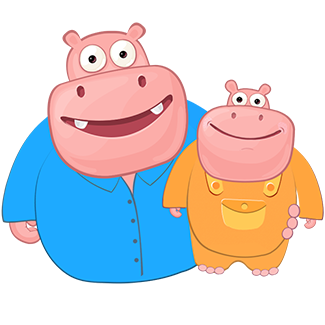 Interestingly, they added that the hippo was even more encouraging when they did not get the question right, they thought the way he simply says a mild non-judgmental “oops” or “uh-oh” is really nice. So what I’m hearing from my students with all this is that they feel safe to do math in this supportive environment, they are motivated to keep trying, and encouraged to do their best. This reflects in how they’ve started thinking about themselves now – they feel good about themselves and they feel confident about math. That’s great! 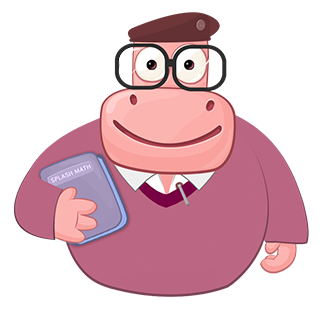 We’ll be sure to give your students’ feedback to Pippo the Hippo :-) . What are some of the other reasons your students like Splash Math? They love the animation. And actually the entire Splash Math interface. It’s fun, it’s interesting, and it’s quick and efficient – I guess very like the computer games they’re used to playing. 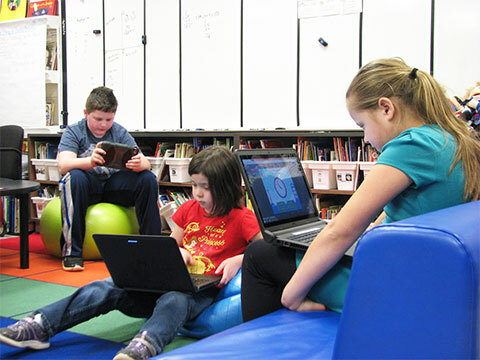 They also understand and navigate the curriculum very easily, and in fact find using Splash Math overall very smooth. And that smooth interface is something I like as well, as a teacher-user on Splash Math. In addition, your thorough curriculum-aligned content is great, and I really appreciate the teacher reports. Specifically, it is easy for me to check how each of my students is doing in a math skill, and with that one report, I am now able to individualize math teaching, on Splash Math itself. Finally, I think Splash Math is great practice for my students to prepare for their standardized testing coming up soon. 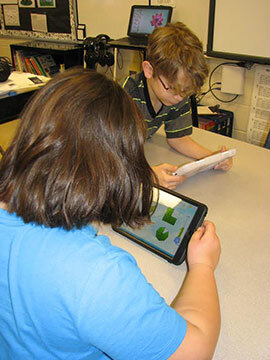 With Splash Math becoming a hit in your class, did you then tell them about SpringBoard? Yes, I shared the details with them. They were immediately hooked, and because I could check real time how we were doing on SpringBoard, they also stayed very motivated. 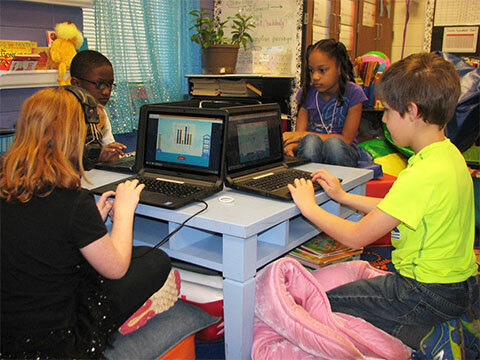 My students know everything about SpringBoard – how the point system works including the streak bonus points, and they are working with a purpose on Splash Math every day. In fact, there are two things my students constantly say to me now through the school day: “Can we do Splash Math” and “Where are we now?”! I’m having to check the leaderboard many time through the school day, which I don’t mind of course – I love the way they go quiet when I check, and then burst out in excitement and applause when I report that we’re “still on top”! I also post updates on my class website for parents, students, and the rest of our school. Are your students math-gifted and always naturally inclined to math, hence this excitement and motivation for doing math? On the contrary! My class is truly a Rags to Riches story that I am seeing unfold in front of my eyes, thanks to Splash Math. Most of my students came to me in the beginning of the school year with lower math skills, and they all know how we have struggled through this year with math. In this one week though, my entire class has learnt to embrace math and love to work on it – they now genuinely believe they can actually do math. Interestingly, there is another 3rd grade class in our school, which is for gifted students, and my class is ahead of them as well on SpringBoard. That adds further to the confidence my students have gained – they feel really good about themselves! These are dream outcomes for me as a teacher, and irrespective of where we go with the SpringBoard contest, I truly feel my class and my students have already won.